UFO SIGHTINGS DAILY: UFOs Appear In Henderson Despite Fireworks Happening Everywhere, July 2016, Video, UFO Sighting News. 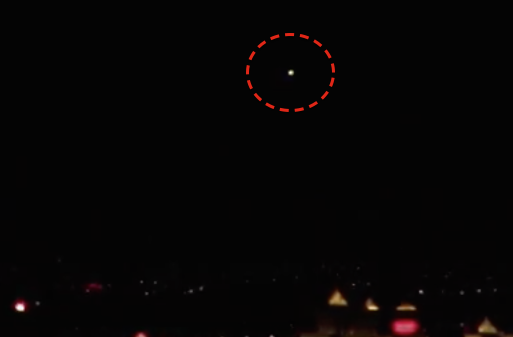 UFOs Appear In Henderson Despite Fireworks Happening Everywhere, July 2016, Video, UFO Sighting News. This UFO was caught by Steven Barone of Vegas this week. It is higher than the mountains and moves up and down very fast, so it could be a UFO, but it also could be a secret project from the local US Air Force base nearby. Very cool catch, just wish it was in night vision. I shot this video from my backyard in the Summerlin area of Las Vegas, Nevada on the night of July 2, 2016. Being that the 4th of July was only two days away I wondered what kind of night it was going to be. I see fireworks going off all year long and it gets heavy around holidays where fireworks are typically used to celebrate. I definitely saw plenty of fireworks going off last night but it didn't seem to have any effect on the UFO activity. I caught these UFOs that I see all the time out in the desert in Henderson along with an amazing display at the Air Force Base. There were also some objects that appeared in the north valley. I used up a new set of batteries on the night vision camera because that event went on so long. It turned out to be a bit of a bummer because after filming four lights sitting still just hovering and flashing there was only one time where a fifth object appeared and moved briefly. I put that video together and decided to delete it because it wasn't really anything special and I need all the room I can save on my external hard drives.